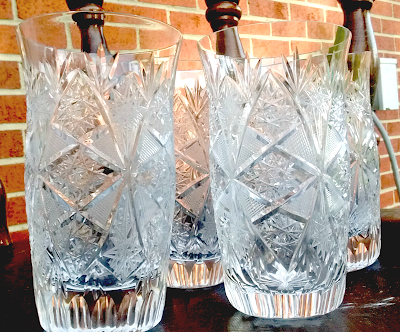 This a beautiful set of cut crystal glass. They are 5 1/8 inches high, 3" across the top and 1 7/8" across the base. There is a hobstar design and diamond shape pattern. This is a set of 4, perfect for a wedding gift.